During this week’s installment of the Warrior of the Week segment, we got a great question. How are we to secure our 2A rights, and protect ourselves from so-called “reasonable” warrantless searches? As you can imagine, the Professor has a solid something to say about this. We have some cool news from our home state, here in windy Wyoming. Legislation has been introduced to repeal and rescind all “Gun Free Zones” in the state. That’s a win in our book. Lastly, we’ve got a step in the right direction of Texas getting more Texas. The District Court has fined the city of Austin, TX, $9,000 (or possibly $9,000,000) for refusing to allow the carry of handguns at City Hall. Not only is this a positive for the obvious reason, but also it sets a precedent for civil suits against other, similar laws & regulations. Listen Louder. TOPIC: From Derek Babcock- In a country where the politicians are constantly violating our 2nd Amendment protected rights in the name of “reasonable restrictions”, how can we protect ourselves from these so-called “reasonable” warrantless searches? With a little over 30 days left in the 2019 Wyoming Legislative Session, Senate File 75/House Bill 183 has been introduced and your lawmakers need to hear from you now. Senate File 75/House Bill 183 seeks to repeal certain portions of Wyoming’s statutes that prohibit the lawful carrying of a firearm for self-defense in any meeting of a governmental entity or any meeting of the legislature or a committee. Further, this legislation would also repeal the carry prohibition in any school, college or professional athletic event not related to firearms or any public elementary or secondary school facility; and in any public college or university facility. On Thursday, the Travis County District Court ruled that the City of Austin, Texas, violated the law by barring handguns in City Hall and assessed a nine million dollar penalty against the city for the violation. 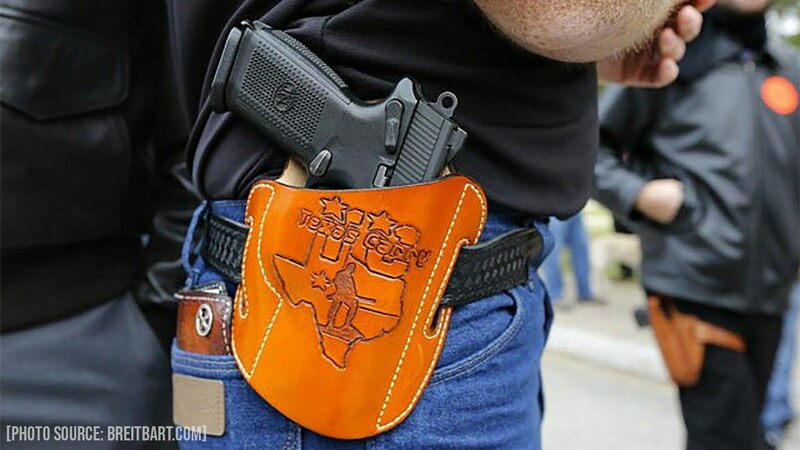 The concealed carry of handguns has been legal in Texas for decades and open carry for Texas’ concealed handgun license holders became legal on January 1, 2016. In the January 17, 2019, ruling, Judge Lora J. Livingston explained that the Plaintiff was able to show that open carry was refused on April 4, 2016, April 6, 2016, April 12, 2016, July 1, 2016, July 29, 2016, and September 7, 2016. Judge Livingston ruled that the Defendants did not prove why City Hall should be treated differently among other public areas in Texas, writing, “Defendants did not meet their burden to establish an exception to Section 411.209(a) on any of the dates” that open carry was refused.